Let’s face it, ladies – grabbing few seasonal things, wrapping them up, and calling them the Christmas gift won’t sell, at least with your mother-in-law. And, to top it (all) off, if your beloved MIL falls under the not-so-easy-to-buy-for category, you’re gonna drive yourself crazy. But we’re here to sort it out for you! Below, we’ve gathered 35 nice picks that we know will save you from “well, I guess that’s a thoughtful gift” comment from your MIL. From pampering products to accessories to daily usage things, keep reading to get started with the Christmas gift hunt for your Mother-in-law. 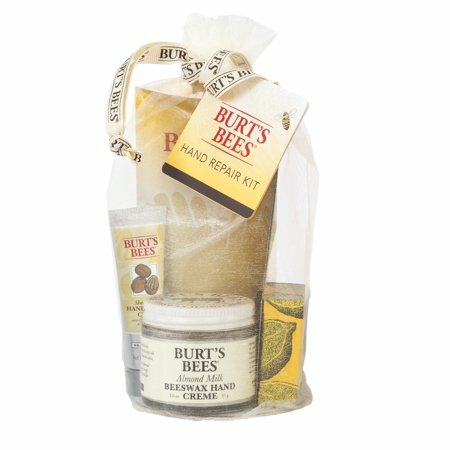 Your mother-in-law will have the perfect soak with this mini spa kit. And yes, don’t forget to get creative with labels to add a personal touch and wrap with a festive bow ribbon to make it more impressive. Chilling out after a busy Christmas is a must. 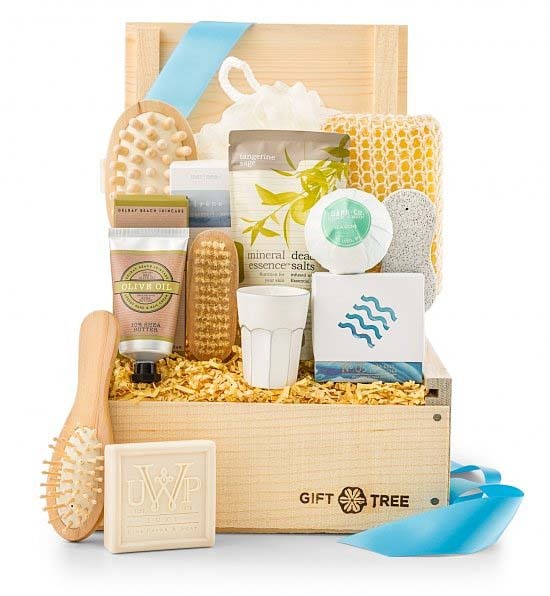 This beautifully arranged spa crate box contains everything his mother needs to leave her worries and stresses behind, all with anxiety-reducing essential oils. 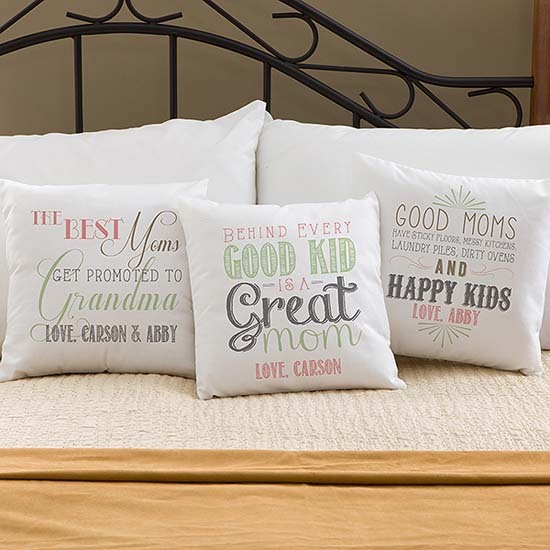 Take the chance to give credit to your mother-in-law – for raising the man who lights your life in a way no one else ever has – with a personalized pillow. Sorted? Wanna ‘stole’ your MIL’s heart away? 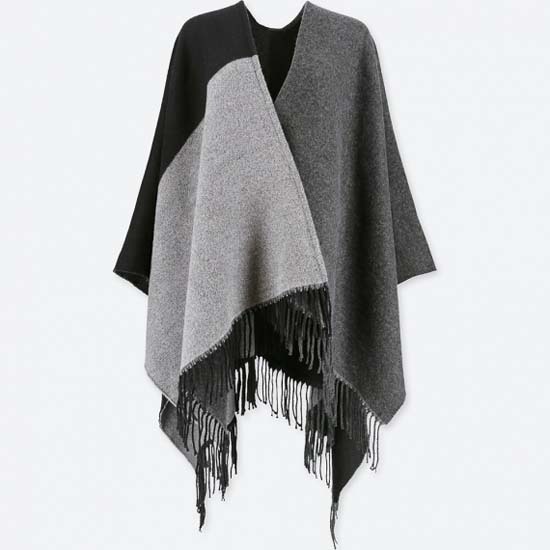 Gift her stylish two-way stole that can also be wrapped around the neck, draped across the shoulders, or wrapped around the waist. Endless styling possibilities = a chance to be in your MIL’s good book. It’s that time of the year again to appreciate the soul who made your man a gentleman in all means. Short of words? 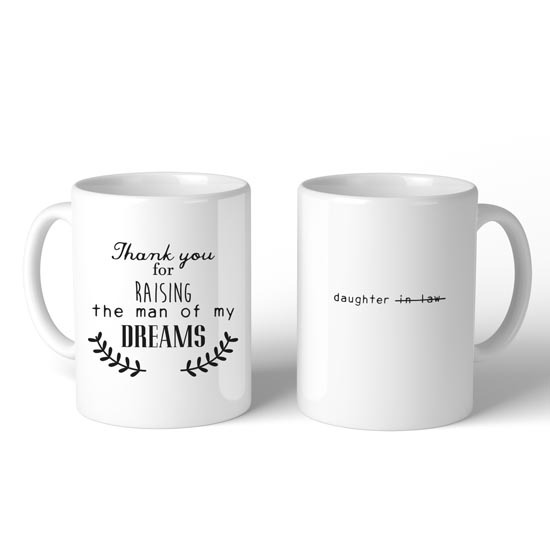 Try this “Thank you for raising the man of my dreams”. Give your mother-in-law a Christmas gift that she’ll cherish every day. 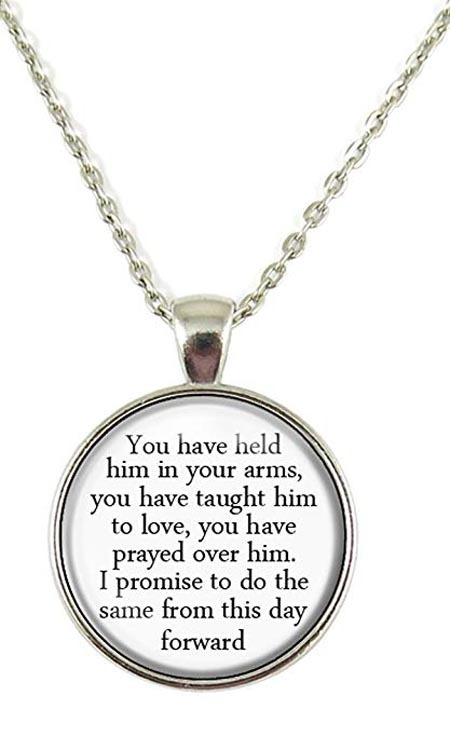 This elegant thank you pendant necklace says it all and is a gorgeous accessory for her to add to any outfit. 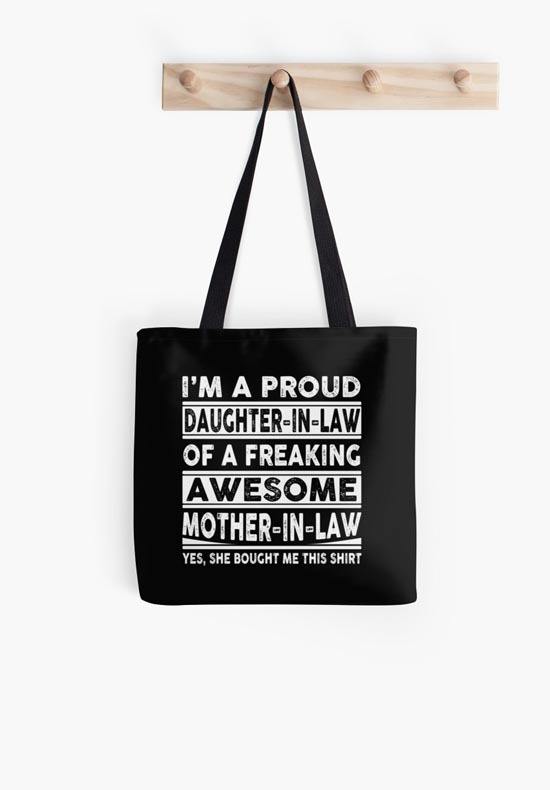 Here’s a simple gesture to show so much appreciation for your mother-in-law – A personalized tote bag. The coolest black tote bag printed in white is sure to make a mark, and how energizing is that saying? 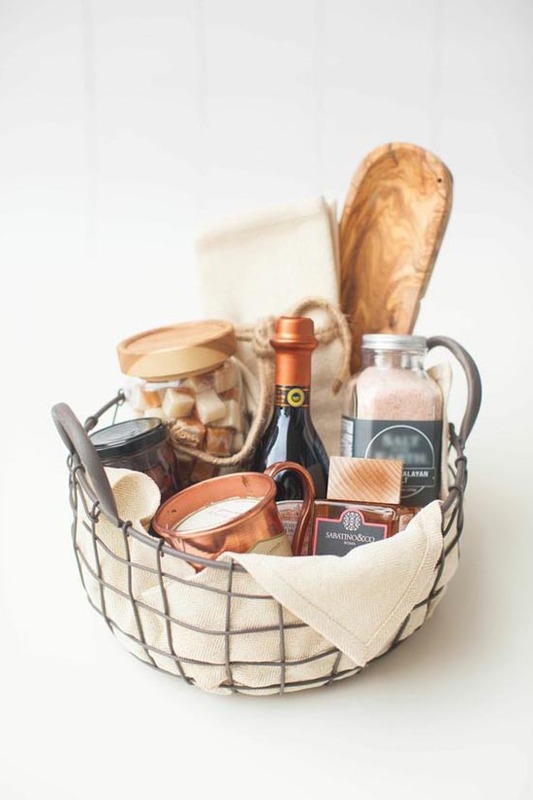 Would you disagree if we say this simple wire basket is the ticket to win your mother-in-law’s heart? She’ll appreciate your effort in gathering individual items to customize it by hand. Try the ‘wire’ way! 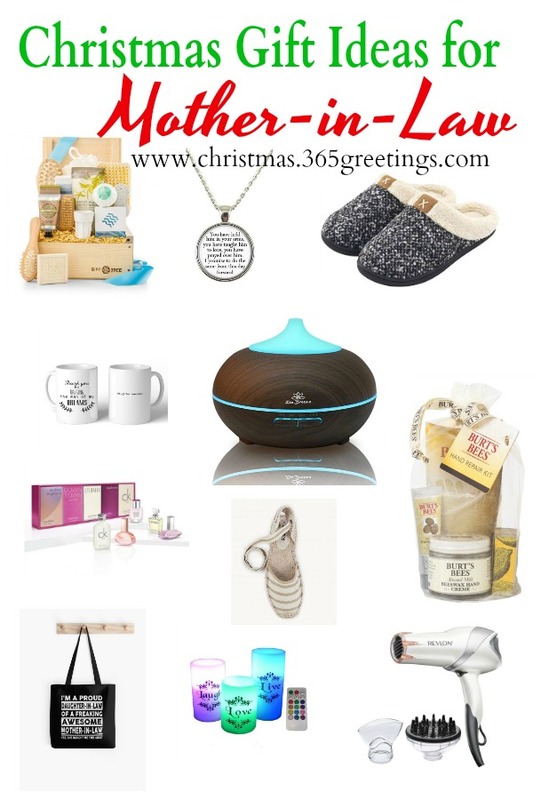 A perfect gift for the essential oil enthusiastic mother-in-law! 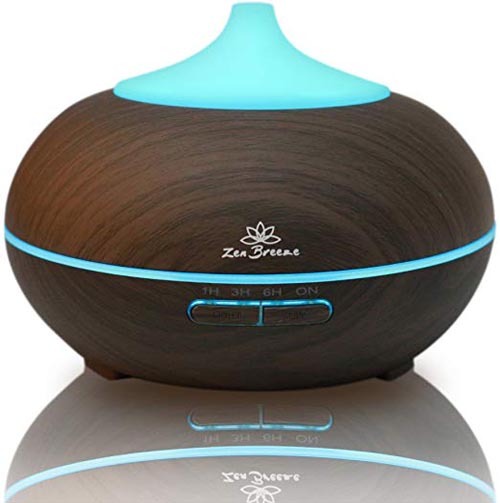 The chic dark wood grain model adds Zen? – Yes; it helps score points with mother-in-law – Hell yes! An ideal pick for an ethereal Christmas dinner night. 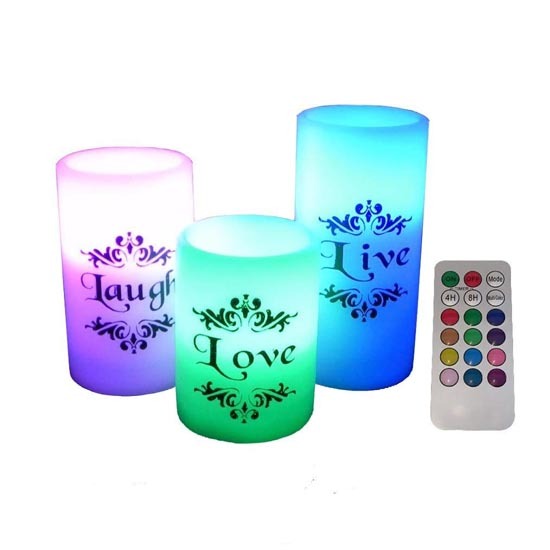 Your MIL is going to love placing these flameless candles on the mantel, bookshelf, nightstand, or patio to illuminate those nooks and corners where a regular candle fails to go. 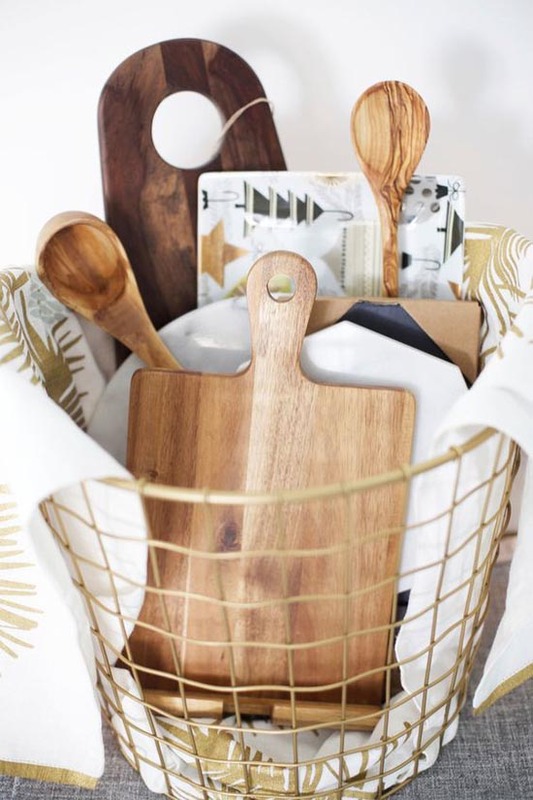 Filled with woodsy, whimsical kitchen items, this is a sure-to-be-hit Christmas gift idea for your mother-in-law. List down what goes into the basket, arrange the basket, add a cute printable tag, and a festive ribbon. That’s it! 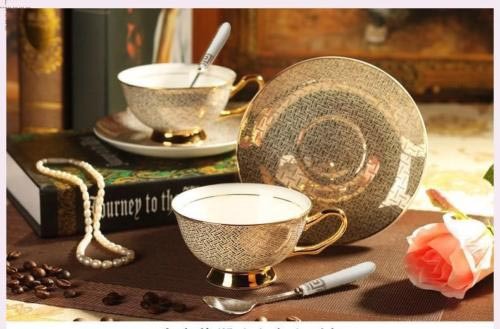 This adorable and luxe teacup with saucer and spoon will have your mother-in-law in a state of bliss every morning. 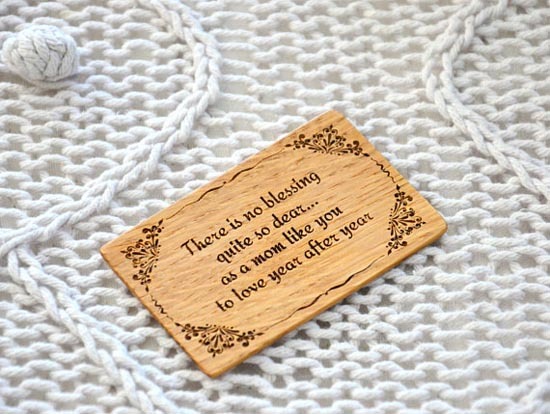 Put them in a circular box; give a personal touch with wooden tags and stick-on letters. Wanna see how the DIL-MIL equation changes over a glass of wine? 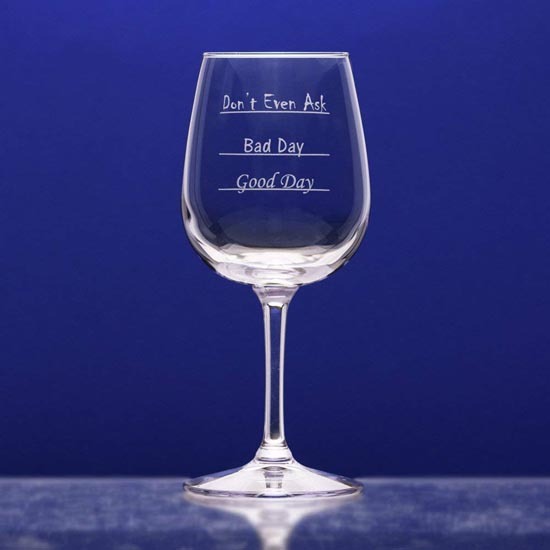 Gift her beautiful Wine Glass’. Pair it a neatly wrapped bottle of Pinot Grigio in a pretty dish towel and you’ll be crowned the best daughter-in-law. So, your mother-in-law likes fancy, wallet insert cards, but you’re scared she’ll judge if you gift another one this Christmas. Take chance with these personalized engraved wallet insert cards, because your gift matters to her. Because when are watch and jewellery ever a flop idea? If your MIL’s taste in accessories is a little more understated, you know what you should do, right? 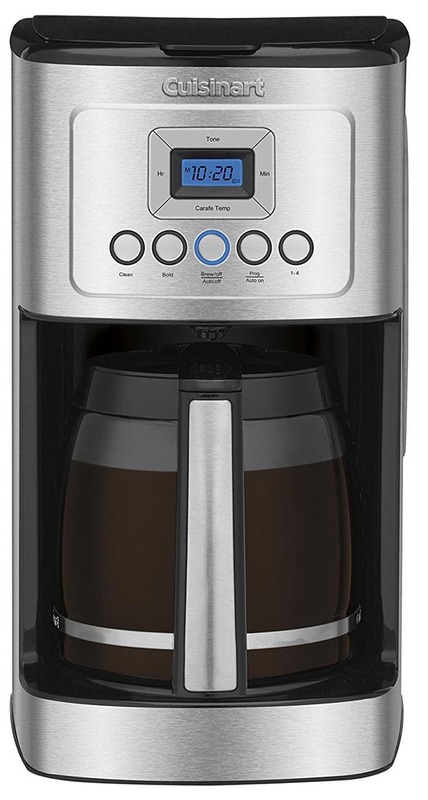 Show her the way to stress-free and mess-free coffee making. And who knows the make-us-feel-good caffeine can establish and or deepen your MIL-DIL relationship bond? Ah, it seems she has to use this classy casserole for baking and reheating. 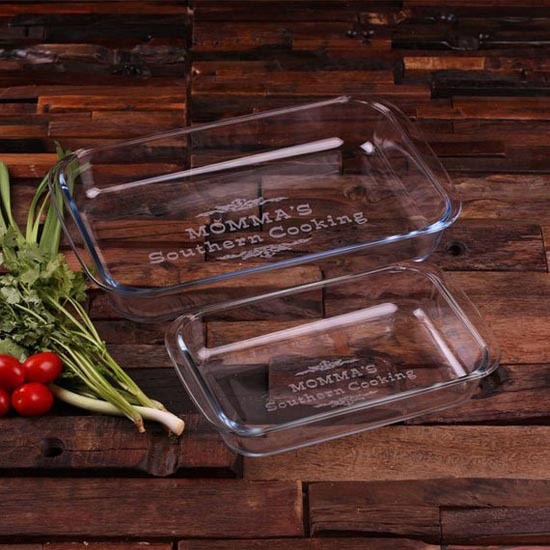 Maybe, if you’re lucky, she’ll use this to bake tummy-filling Chicken, Mushroom, and Spinach Lasagna or a Cheesy Stuffed Pepper Casserole so you can just relish the bite. 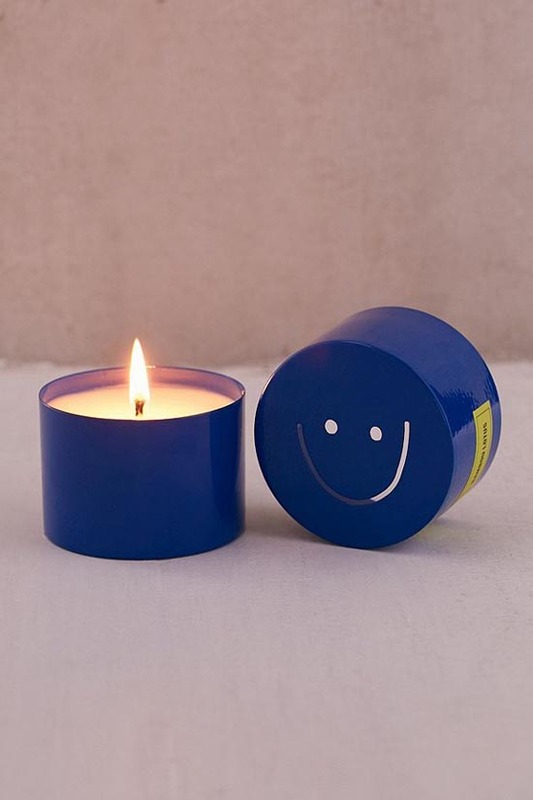 Available in a vast array of scents, these cute little smiling darlings will find their way to your mother-in-law’s heart. We think these cuties are the winner for many daughter-in-laws this year. What’s your take? These tiny bottles are big on giving crazy good smells. The pack of effervescent Grapefruit Pink and Lemon, soothing Lavender, energizing Peppermint, quintessential Tea Tree, and magical Frankincense Serrata – an ideal Christmas gift for your mother-in-law! 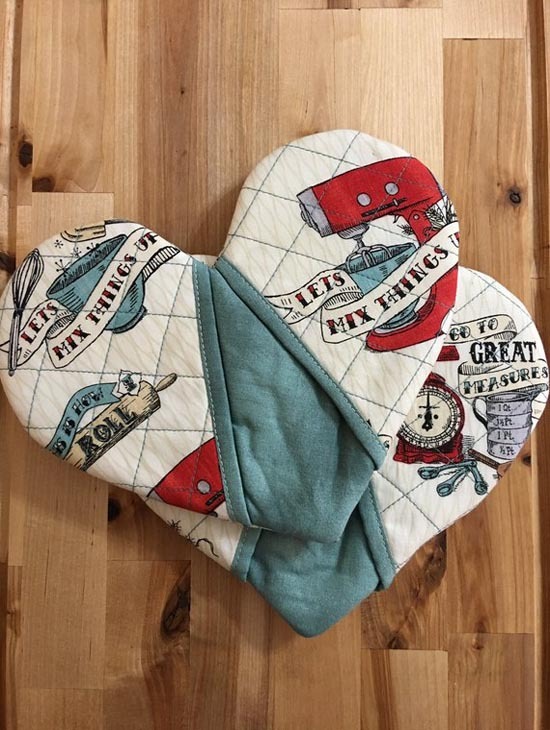 Let this heart-shaped oven mitt fix things up. The print themes and the adorable heart shape are sure to put a smile on her face so, get ready to impress. Christmas gift search simplified! Is your mom-in-law the ultimate bubble-bath lover? 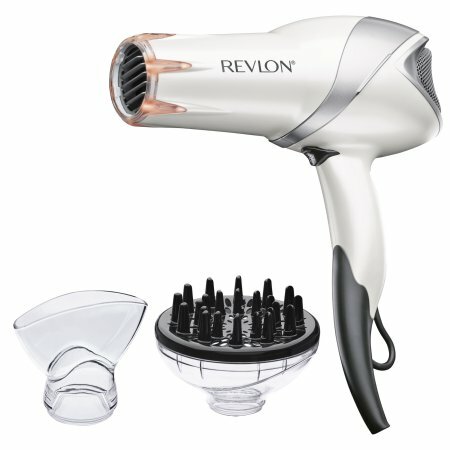 Then help her soak away the tensions and stress with the thank you gift set. These pampering and hydrating products are the dewy way to thank her. 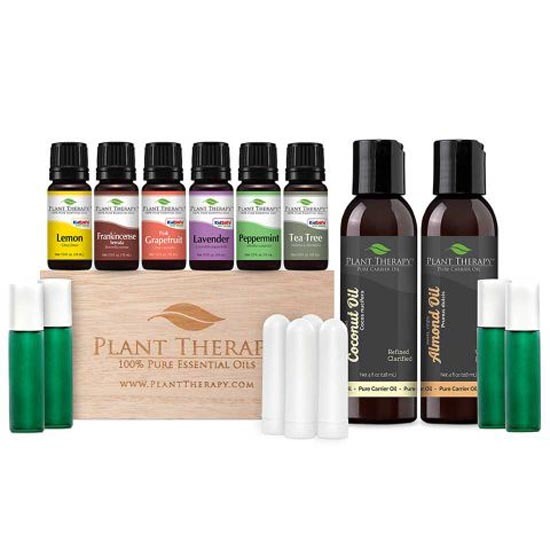 Your Vegan Mother-in-law will get everything she needs for a pampered pedicure at home with this kit that includes Foot spa tingles, Lovely Foot Scrub & Softy Mani-Pedi Butter. Put them in a mason jar, wrap with a festive ribbon – ready to give! 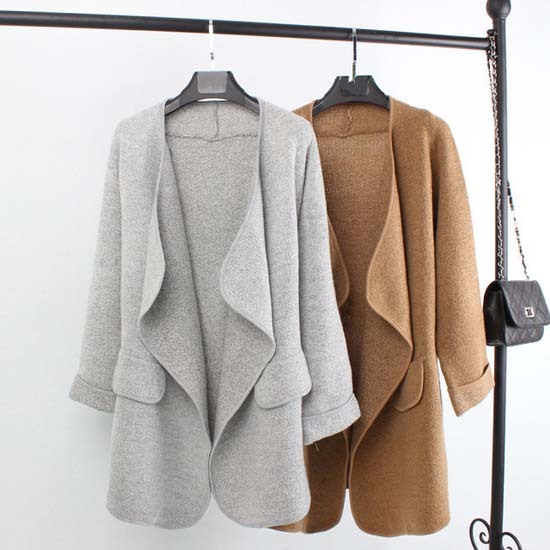 If she loves the cardigan, she’s going to love this cozy, softly textured, and stylish cardigan! And, by the way, did we forget to mention that you literally sorted her fall travel outfit woes? Another awesome gift she won’t disagree on – A simple yet elegant leather wallet! 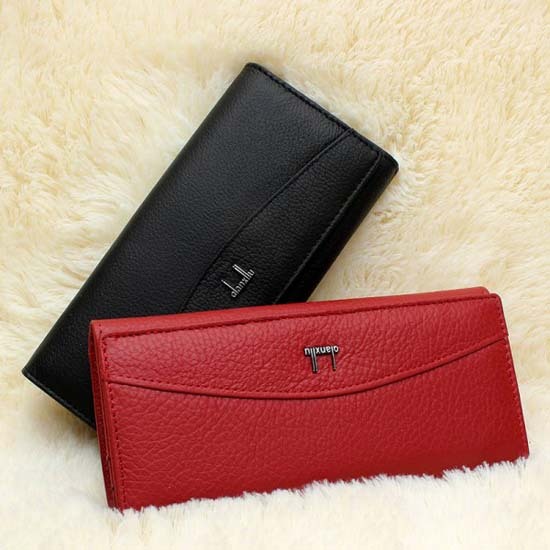 Available in red and black colors, these genuine wallets should do the trick to bring a smile on her face. Because her feet deserve a nice pair of slip-on slippers to slide into! 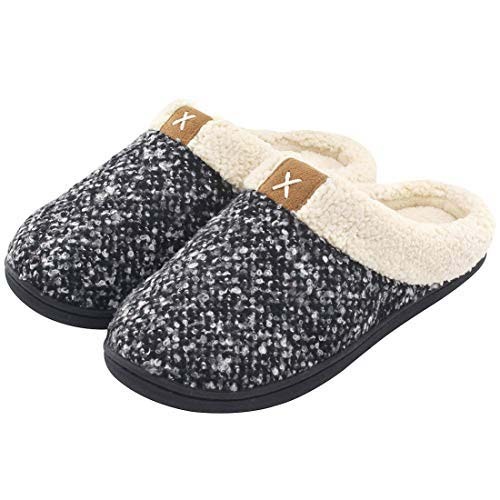 Fill these indoor slippers with nail polish, a relaxing foot cream, and a cozy pair of stockings and wrap it all with a beautiful ribbon. Your MIL will surely be pleased and impressed with these indulgent and pampering treats. 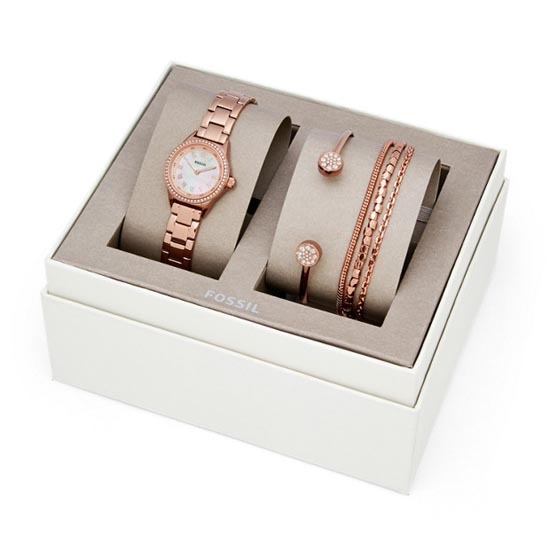 After all, it’s hard to go wrong if you have Miniature Gift set for women by Calvin Klein at your side. If you’re stumped as to what to gift your mother-in-law, the Try the World subscription box is a safe bet. Who wouldn’t love an assortment of imported foods from around the globe delivered to their front door? 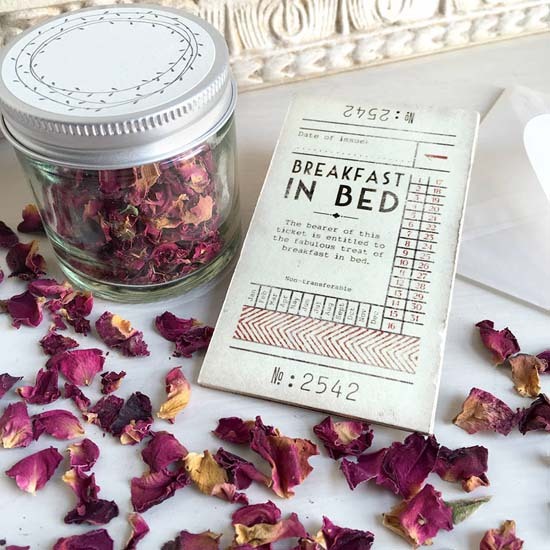 Because when roses are involved, the Christmas gift becomes foolproof. 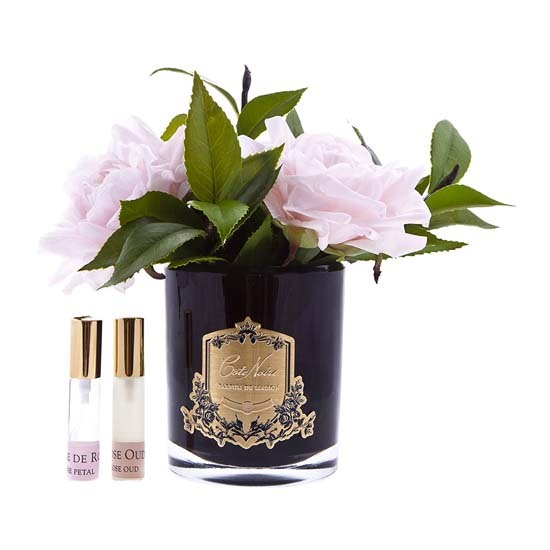 These luxurious, fragrant faux roses in dark box—a perfect coffee/dinner table topper—last longer than you imagine. Two small spray bottles come with the set to ensure the fragrance is re-set as needed. What’s better than surprising your mother-in-law with Advanced Génifique Activating & Illuminating Collection from Lancome? Can’t go wrong with Advanced Génifique Youth Activating Concentrate, Yeux Light-Pearl™ serum, and eye cream! 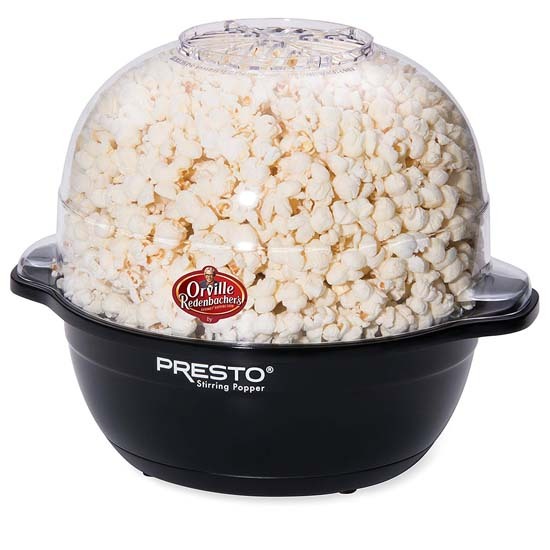 Add this super cool stirring popper to her collection to begin the snacking adventure. Plus, it’s going to be a throwback to her childhood filled with movie nights and warm evenings with siblings and cousins. When a gift is personalized, it carries great depths and dimension. 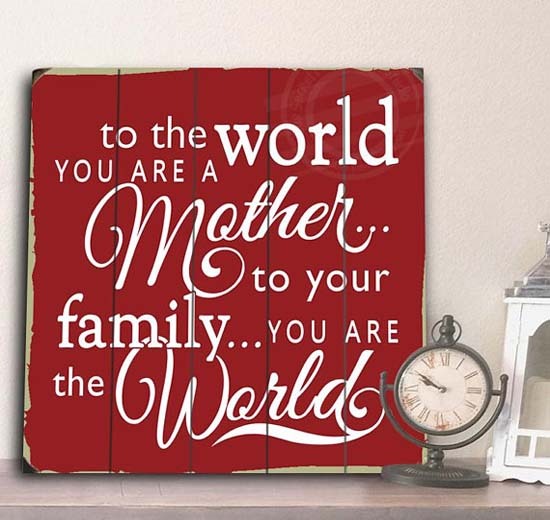 This sleek and rustic wooden signboard that’s letting her know she means the world to her family is truly amazing and sentimental. Even if she doesn’t go gaga over jewellery, slipping on this beautiful bracelet will remain a memorable moment for her. Because it’s the first ever Christmas gift from her soon-to-be-daughter-in-law. There’s nothing quite like an evening walk on the beach, and there’s nothing more stylish than a simple shoulder or clutch bag to ensemble the look. 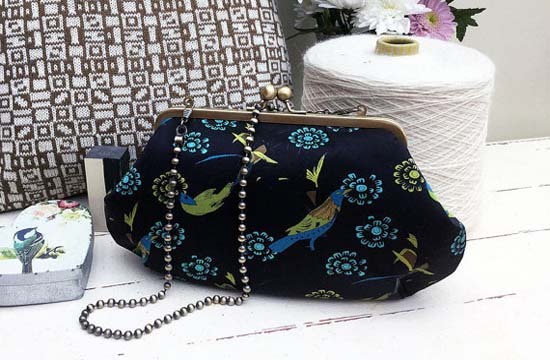 Ready to bond over this vintage-inspired evening bag? Neutral stripes and sweet tie closure ankle bring modern savvy to this classic sandal made of fine quality fabric. Feel like this is made just for her? Go buy it now! Now she can achieve all of those blowouts and mermaid locks with Revlon Salon Infrared Styler, all from the comfort of her own home. An added bonus? The bestest daughter-in-law ever tag! Filled with 3 amazing skin-care products – Lemon Butter Cuticle Cream, Almond and Milk Hand Cream, and Shea Butter Hand Repair Cream – this hand repair spa kit set is almost as lovely as she is.